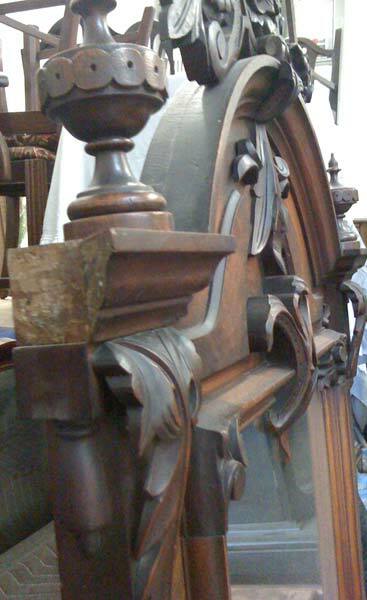 This Victorian walnut dresser with marble tops. 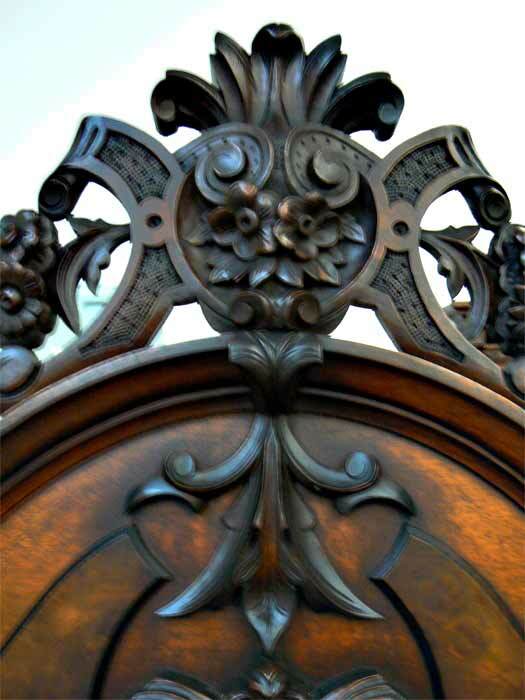 The piece is attributed to Mitchell and Rammelsberg, circa 1850’s although there are no known maker’s marks. It is also attributed to have been in the house used for the filming of The Owl and the Pussycat (although not in the movie scenes themselves). The drawer pulls for the lower two drawers were replaced early on with pulls that are believed to be correct for the period, presumably because the original pulls were too difficult to use to open the drawers. 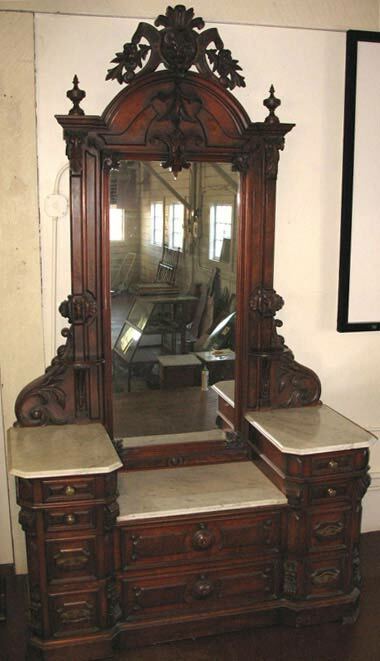 Two small molding pieces on the sides of the mirror are missing … they are in the process of being restored. The finish is original and in very good condition. The marble is also original and in good condition. Local delivery is available. Shipping and handling charges apply and vary with the destination, or you can make your own shipping arrangements. Please call for a quote.